I just read my bestie Carla’s Christmas blog post and my eyes are moist from a duet of bittersweet tears. She loves Christmas and her joy for the season is as palpable as her sister’s molten chocolate lava cake. Magnolia leaves. That’s what I remember most about my mother’s Christmas decorating. She would scour neighbor’s yards for leaves at all hours of the night and any flat surface was fair game but the mantle in our living room was her real masterpiece. As a child, I’m not sure I knew what elegant meant but I did know that our decorations were fancier than most of my friends and that made me feel oddly proud. 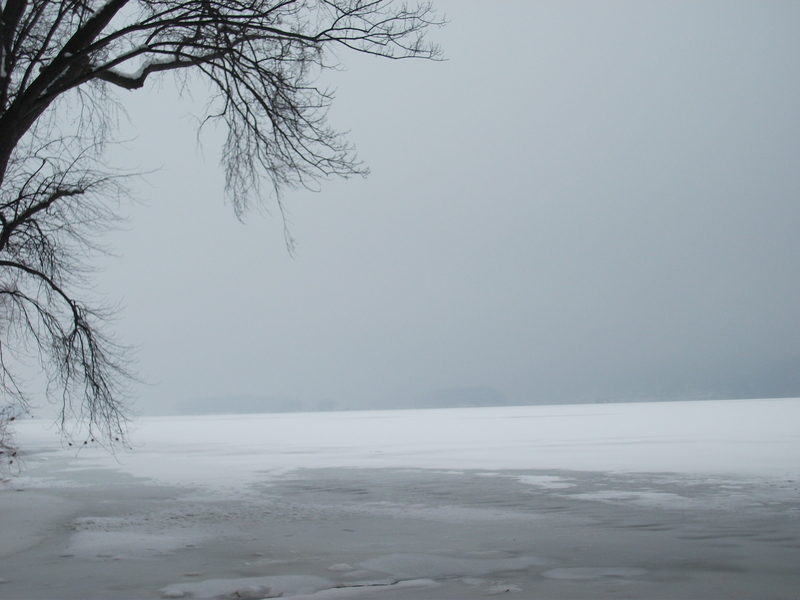 It’s funny what you remember – like the crackling of the hard frozen leaves touching each other as she meticulously made her arrangements. 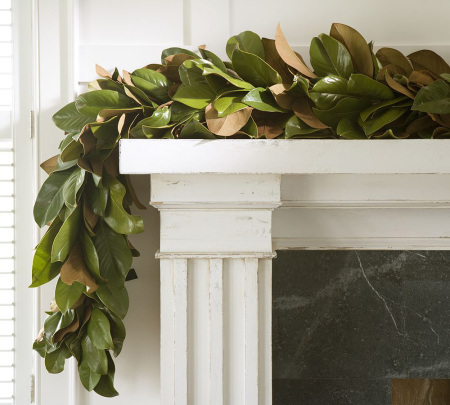 It’s a soothing sound to me now and I think I use magnolia leaves more to hear that familiar noise than anything else. I’ve been through a blue Christmas or two with Carla when we were both recovering from loss and contrary to the Muzak in the mall, it’s just not “the most wonderful time of the year” for a lot of folks and I can still feel like a grinch for how oblivious I used to be to this reality – until it became my reality. 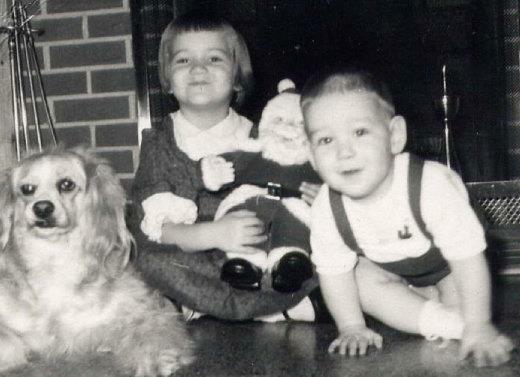 Simpler times with my brother and our dog, Taffy. I still have that Santa. Humbling, I think that’s the word for it. Christmas for me has changed over the past decade as the loss of parents and a partner also brought about the loss of traditions. It has taken me a long time to be “okay” with that and I still approach this time of year with a sense of weary resignation. My dear wife likes to gently tease me about calling any holiday thing we do for the second time a “tradition.” I can laugh at myself but the truth is that these new traditions make me feel grounded and connected in ways I haven’t felt in a very long time. 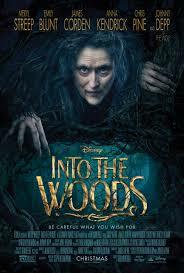 Going to the Christmas Day opening of a big new movie is one of these tradtions and this year’s entrée is “Into the Woods” with Meryl Streep. An amusing aside – I always run into some of my Jewish friends enjoying their tradition, too. It’s a delicate balance – remembering Christmas past and celebrating Christmas present and I’m grateful to have found some ways to honor both. 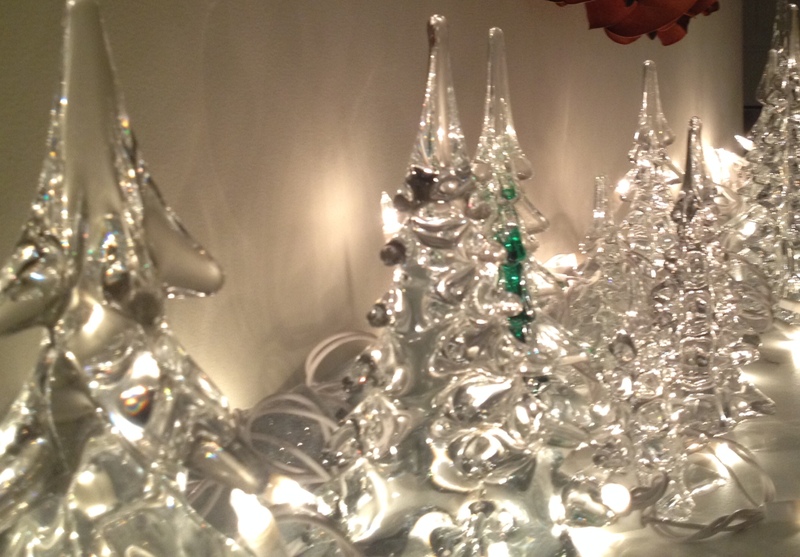 My mother had a large collection of heavy glass Christmas trees that she loved. Her tastes were more modern than mine but when she died, I kept them. Last Christmas was the first year that my now wife and I shared a home and when I pulled out the glass trees, she was smitten and insisted we put them out on our mantle. Yes, Mom, I did marry well. I’m so happy Carla will be with her whole family for Christmas. I’ve seen that sad puppy face when she couldn’t be there and well, it’s just not a good look for her. I love her family – they are warm and loving and loud and funny and remind me of the family I used to have. Addison, I have complicated feelings about Christmas, too. I want to love the wonder and whimsy, but too many years of too much alcohol combined with travel with small children just felt like work. Grandchildren will help, I’m sure. And I love those glass trees!